SNC Manufacturing has been serving the information and communications technology industry for more than 40 years. We know technology problems can arise quickly and without warning. That’s why you can count on our affordable, U.S. manufactured communication products, which will help you resolve technology issues quickly and easily. If you are troubleshooting customer complaints about noise or electrical interferences on copper data transmission wires, our QUIET-TEL® solution may be for you. SNC Manufacturing is the industry leader and primary provider of single and multi-pair noise solutions. 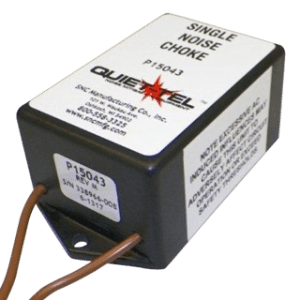 QUIET-TEL® controls AC-induced voltages and harmonics on copper ICT lines, as well as other sources of electrical interference, including 60-cycle hum, DSL noise, pixilation, tiling and more. This communication product also solves issues with slow data transmission over a modem. 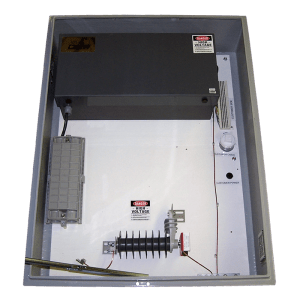 Engineers put their trust in Lyte Lynx® high-voltage protection for telecommunications. This line of communication products is designed to provide personal safety, protect equipment and deliver reliable service by protecting ICT circuits entering electric power generation stations and substations against the Ground Potential Rise (GPR) and induced voltage. Put your trust in our long history of serving the telecom industry. Contact us below at (800) 558-3325.